About one month after the 67th Overseas Visiting Group, another visiting group arrived in Korea on July 4, 2016. In keeping with the mission to preach to seven billion people, two gospel cradles that will embrace the new members, who are coming to the Church of God like the waves rolling in, were established: the Yeoju Church and the Daejeon Jungchon Church in Korea. 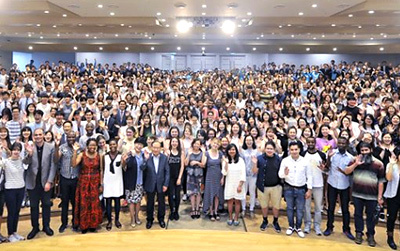 About 240 members from 109 churches in Asia, Africa, and Oceania visited Korea as the 67th Overseas Visiting Group on May 30, 2016. The service for the Ascension Day, which is the day to commemorate Christ’s going up to heaven on the 40th day after the Resurrection, was held on May 5 in all the Churches of God worldwide. After ten days, the Sacred Assembly of the Day of Pentecost was held on the 15th. 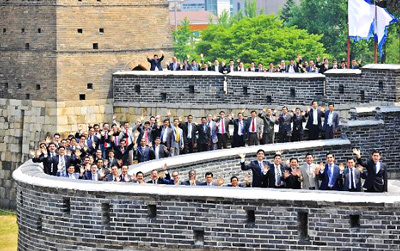 The 66th Overseas Visiting Group, which mainly consisted of the members from North America and Europe, came to Korea. They learned God’s words and love, and made a resolution to preach to seven billion people. In April 5, 2016, when spring flowers were in full bloom under warm sunshine, dedication services for three Churches of God were held. They are the Boryeong Church, the Hongseong Church, and the Baebang Church in Asan, all located in Chungcheong Province. The first annual feast in 2016 began on March 22 (the fourteenth day of the first month by the sacred calendar). In the evening, the Sacred Assembly of the Passover was held in more than 2,500 Churches of God in 175 countries. On the following day, they held the Sacred Assembly of the Feast of Unleavened Bread, and on the 27th, the Sacred Assembly of the Day of Resurrection. 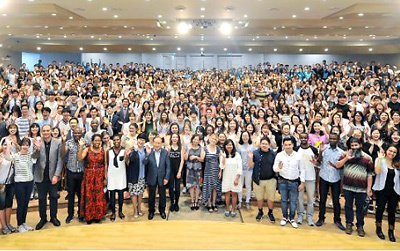 The pastoral staff members in and out of Korea gathered in the New Jerusalem Pangyo Temple and participated in the General Assembly for five days and four nights, where they settled the last year’s gospel work, which left rich accomplishments than any other years. They also drew up the gospel development direction for the year 2016. The Gijang Church in Busan held the dedication service for its new temple. The New Song Festival, which heated up the faith of young adults and students in Korea last summer, came back in 2016. On January 31, the 2nd New Song Festival was held at the Okcheon Go&Come Training Institute.